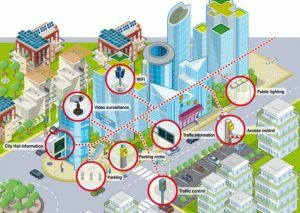 For Tecnorad the Smart City concept inevitably firstly involves the concept of urban automation. Tecnorad’s solutions for urban automation integrate platforms previously developed for the automation of the installation-building and for process automation with infrastructure systems such as water, energy, waste, public lighting and transport. All Tecnorad solutions are implemented using open standards solutions, highly scalable and guaranteed in terms of long-term availability. The devices used in our automation solutions are all ready to be integrated in the Smart Grids of the future and can already be usefully employed in SEUs (System Efficient Systems).